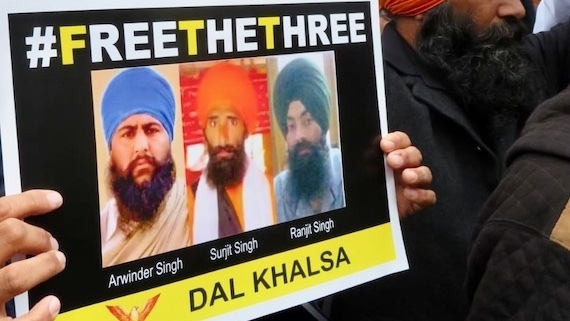 Carrying placards with photos of martyrs and books referred to by the Sessions Judge Nawan Shahr in the recent judgement against three Sikh youth namely Arvinder Singh, Surjit Singh and Ranjit Singh, Dal Khalsa activists marched to the district courts taunting the administration and daring the state to take action against them. 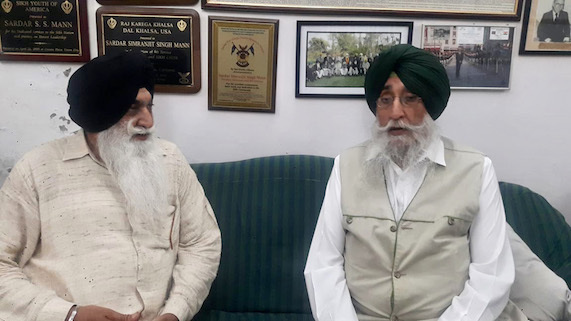 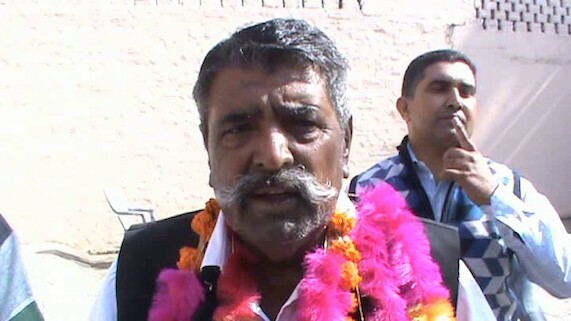 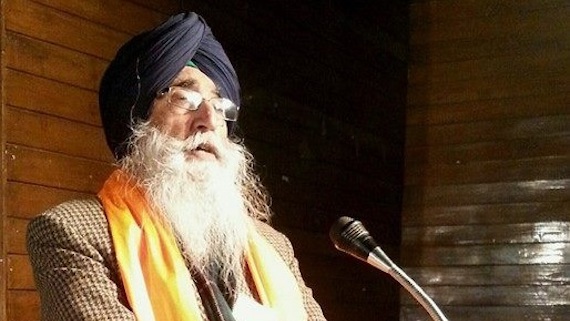 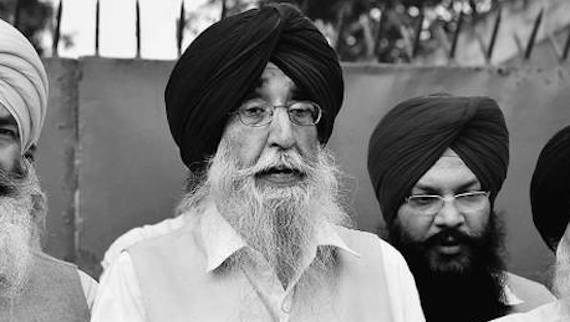 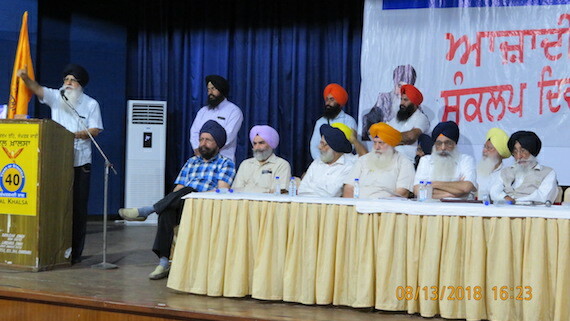 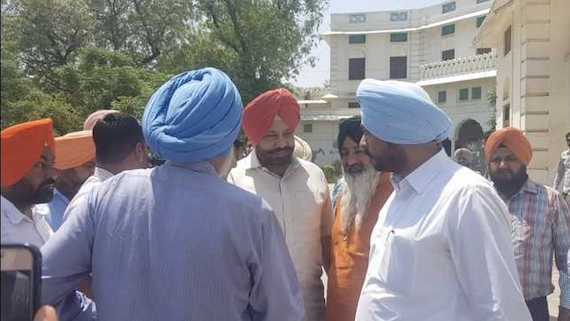 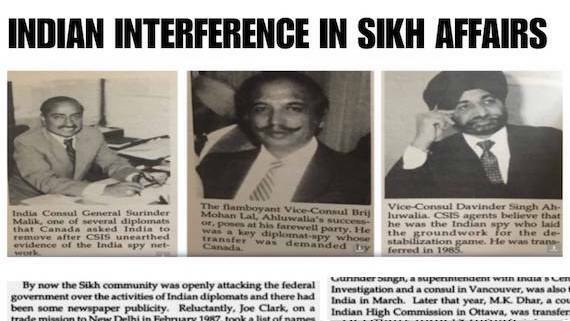 Shiromani Akali Dal Amritsar (Mann) president and former Member Parliament Simranjit Singh Mann has demanded that the government of India should allow Sikhs to build a memorial for Shaheed Beant Singh at Safdarjung Road in Delhi. 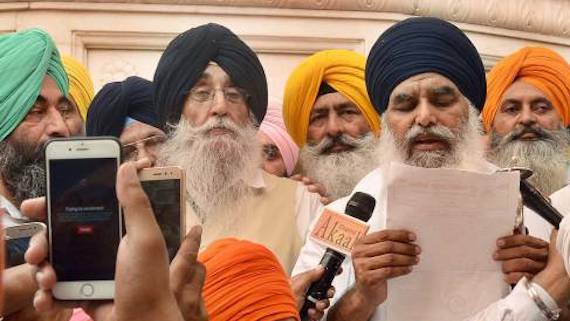 The Shiromani Akali Dal Amritsar (Mann) president S. Simranjit Singh Mann today welcomed the resolutions passed by the 'Panthic Assembly', which concluded on Sunday in Amritsar. 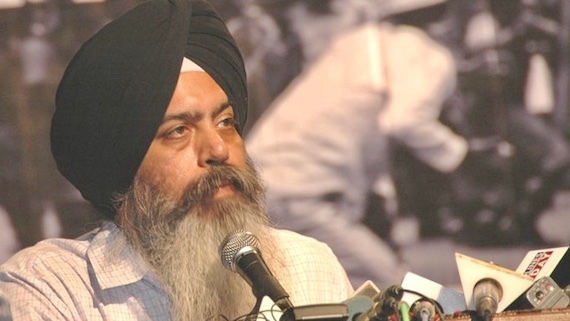 Shiromani Akali Dal Amritsar (Mann) editor Simranjit Singh Mann has responded to an editorial by The Tribune. 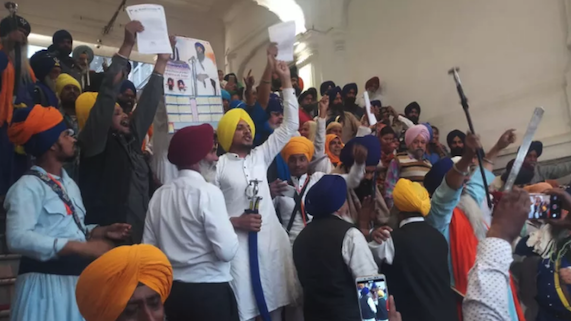 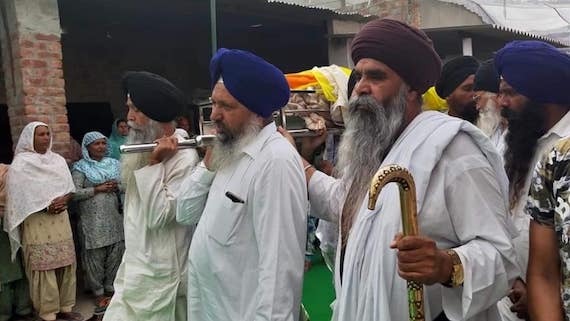 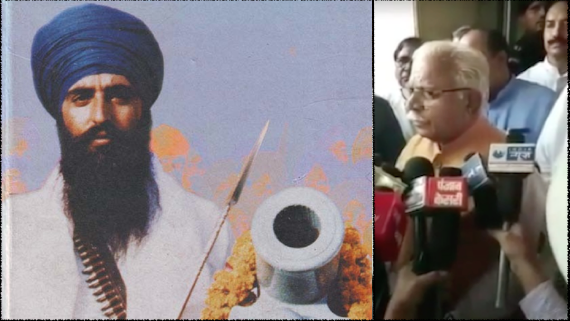 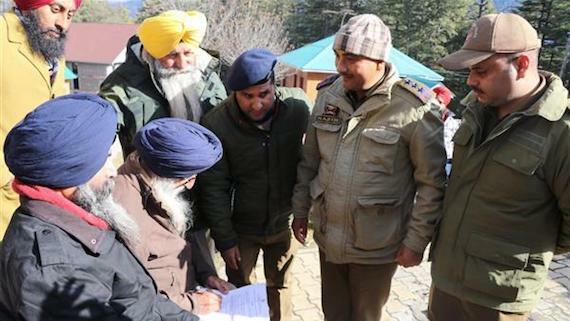 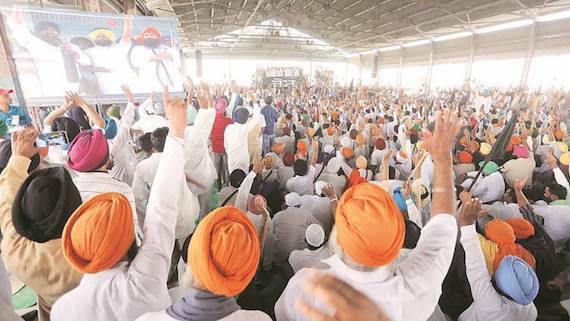 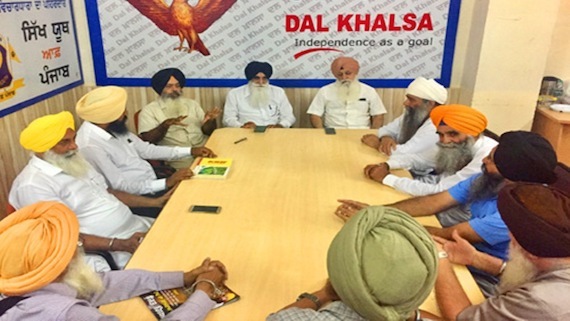 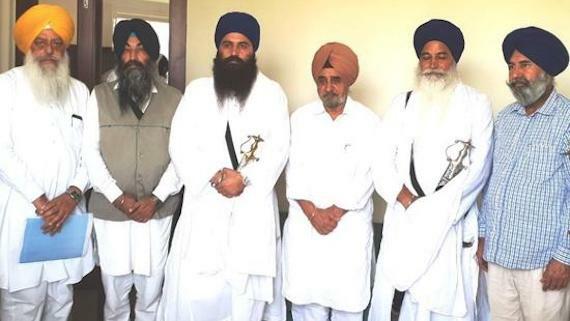 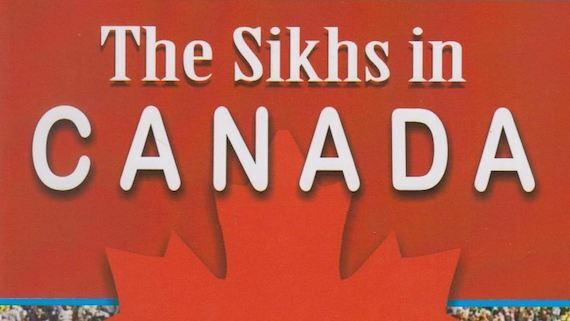 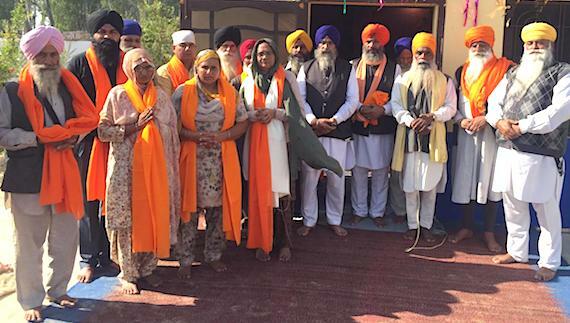 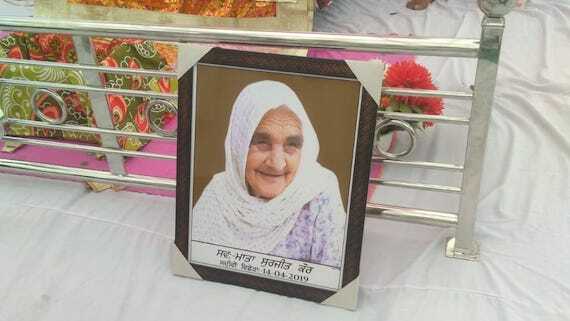 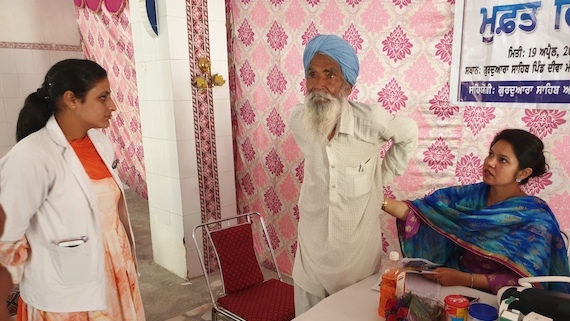 The Shiromani Akali Dal Amritsar (Mann) has condemned Haryana Chief Minister Manohar Lal Khattar for asking Sikhs of Dachar village near Asandh in Karnal district to remove portrait of Sant Jarnail Singh Bhindranwale from the village Gurdwara Sahib. 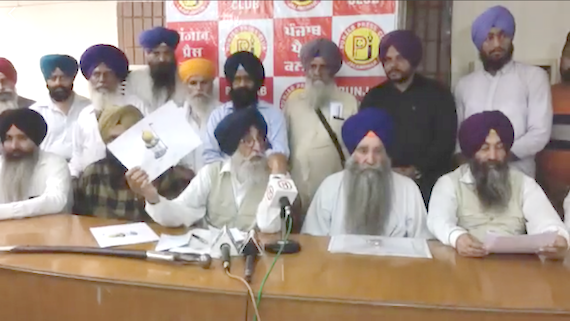 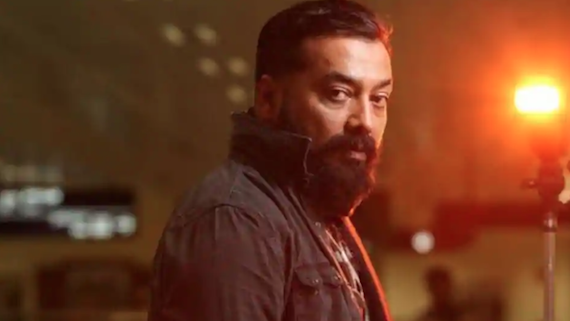 The Shiromani Akali Dal Amritsar (Mann) has criticised director Anurag Kashyap to wilfully hurt Sikh feelings in his controversial film Manmarziyaan.